You may wonder how it is that big jobs can get done easily. Firstly, it’s because you don’t have to do everything yourself when working on a major project. Secondly, the equipment and machinery you need can be hired short or long-term for builds, renovations and commercial projects. Whether you are moving earth, landscaping, investigating drainage solutions or searching for industrial waste equipment, major hire centres provide help that is close at hand. Hands-on work moves forward in 2019, as house prices level or fall. Improving your property or establishing a new one with hard work and a good strategy will pay financial dividends in the long run. With the right industrial equipment on your side, the work area will remain free from debris and hazards, and the job can power safely ahead. For projects in major Australian cities and regional centres, Coates Hire provides convenient solutions to complex problems where horsepower is needed as much as manpower. Scale: You can make sure your designs are sound at the outset by having them drawn up by a qualified architect or draftsperson. Engineers drawings are also essential, and you should always hold on to master copies of any plans or documents. Specifications: You will need to do your homework so you don’t make wrong measurements or choose inferior products. Building materials are expensive, and having to redo work shouldn’t be part of the equation. Don’t rely solely on outdated topographical maps or old council files. Council approval: Most major building works require local council planning permission. Your architect will provide detailed drawings of the planned build for presentation to council for permission, and any omission could prove costly, so make sure you discuss your ideas with an expert first. Scope of work: With experience, you will become accustomed to assigning the right people and equipment for the job at hand. But it’s still good to know that a bogged or powerless construction site can be rescued with the intervention of Coates Hire pumps, generators and earthmoving equipment. A functioning building site should be good to go at all times of the day and into the night if necessary. An Industrial loader will remove site waste for disposal or relocation, while backhoes and attachments make laying pipes and building retaining walls a breeze. If electricity is needed and power is running low, a portable or silenced generator will start you up, while drainage solutions, water treatment equipment and a variety of pumps are all available from the hire professionals. For a satisfying build, you will have to think several moves ahead at the best of times, so speak to a Coates Hire professional and start planning your strategy. You can check online for your nearest branch, use the search function, and even pre-book hire equipment and vehicles so they are ready for use whenever you need them. Building standards are stringently enforced in 2019, and all work has to be signed off by building and safety inspectors. Any deviation from the master plan could cause unwanted delays or additional expense, so you will need to start with a little money in reserve in case of emergencies. Flooding and water waste emergencies, for example, can be conveniently responded to using a high head pump, large pump, submersible pump or sewer bypass as required. All this equipment is available for short or long-term hire at your nearest depot. 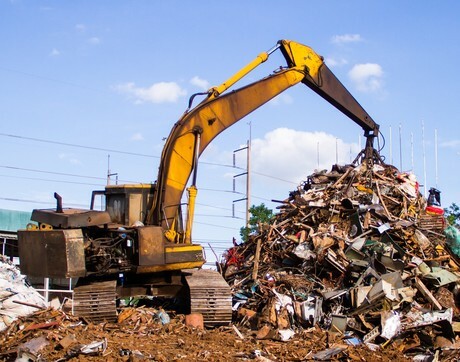 Industrial waste from earthmoving and demolition works is easily discarded when you have an industrial loader plus trucks and trailers at your disposal. Large-scale building and construction equipment can be used by anyone with the appropriate qualification or ticket, with many training courses available through Coates Hire. As industrial waste equipment moves forward in 2019, hire companies are meeting the demands for workplace health and safety standards, allowing even novice builders to complete the work with confidence.